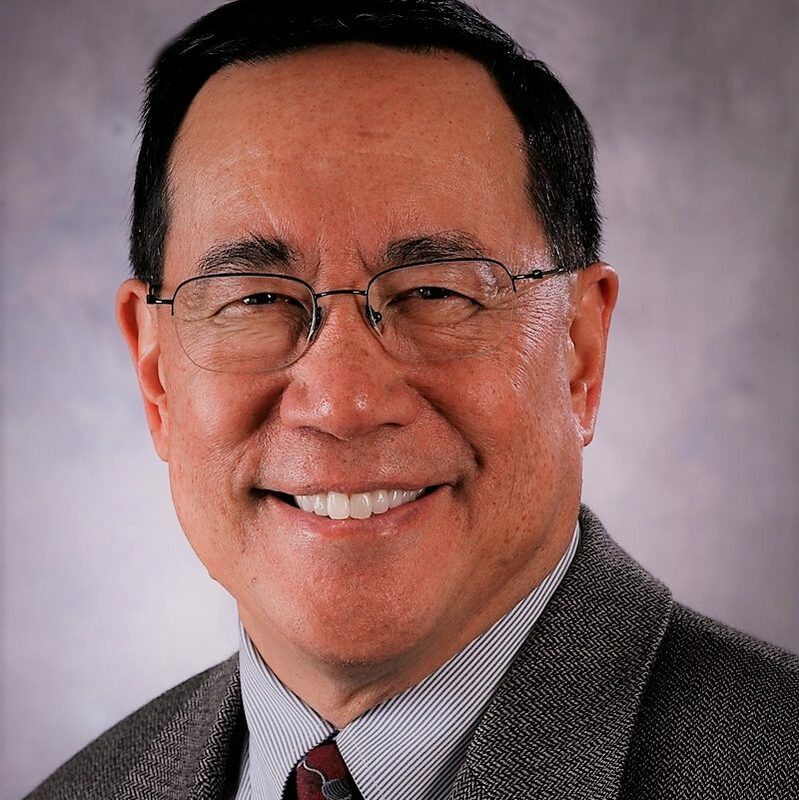 Gus Lee, bestselling author, and expert on leadership and courage, presents a mini course for developing leadership. He says it starts with moral character and courage, and builds up through practices of respect and and integrity. Gus talks about the many challenges of his youth, and the rescuers and mentors he found along the way who taught him the principles of true character. Gus looks to the words of Aristotle, Confucius, and modern teachers, for the principles that lead to moral character, courage, and authentic leadership, starting with positive respect. 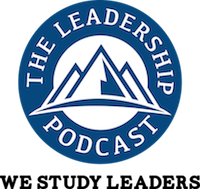 Listen in to learn more about how leaders can strengthen themselves and their teams. [2:08] Gus got involved with leadership in an effort to learn American culture, as he had come from a broken immigrant family. He was essentially raised from the age of seven by the boxing faculty of the downtown YMCA. They took him in, and kept him in the ring for 10 years. Then, Gus attended West Point, a premier leadership institution. [3:17] At West Point, he was mentored by H. Norman Schwarzkopf, a young engineering professor, who modeled leadership development for Gus throughout a 47-year relationship. Later, Gus taught Leadership at USC, along with Warren Bennis, who invented modern leadership theory. However, Gus was in denial that he lacked the character to be a good leader. He says he didn’t have the moral spine. [4:59] Gus went on to become West Point’s first Chair of Character Development. Gus says his first influence was Aristotle. Aristotle said it’s simple to understand and grasp both character and leadership. First, get rid of your bad habits. Second, practice the behaviors of courage. It’s not a feeling; it’s a discipline of hard practice. [7:55] Gus says that by developing habits, you change your inner disposition — your inner deep attitudes — and then you achieve character. He learned from Aristotle: stoicism, or grit, as traits an individual needs to survive, and moral courage and character, which are only for the benefit of serving others. [12:14] Gus’s upbringing was tough. Gus grew into an isolated, intellectual introvert, fearful and distrustful, and prepared to be a hermit. What he learned through his education was that character allows us to assess our disadvantages from the past, and to face them with a great deal of nobility, without blaming the adults. [15:10] Gus talks about the integrity related to moral courage. With the behaviors of moral character, we can have a splendid life, regardless of the tragedies of the past. For most of Gus’s career of teaching, he relied on the psychology model of leadership. He has moved to a platform of the character of leadership. [18:47] Gus credits a host of people for turning him around. It started with his first friend on the street, at age six. This friend, also six, taught him the six behaviors of character as he had learned them from his mother. At seven he went to the YMCA and found three boxing coaches, from the Bronx, Manila, and Oakland. They mentored him in boxing and life, and served as his Dads, for 10 years. [21:27] Gus says it is hard to develop character. He describes how he learned the behaviors of boxing, and compares boxing to character and leadership. We have to witness the behaviors and the modeling of character in our homes and by our teachers. Character, leadership, and boxing are not academic subjects. They are taught by observing and doing. [24:45] Gus warns that leaders cannot expect behaviors out of those they lead that they do not model for them. As a leader, it’s not about your needs and your ego, but it is about your character. Gus offers clear steps: take responsibility to change yourself, stop your bad behaviors, develop other leaders intentionally, and be accountable always. Adopt the six behaviors Aristotle endorsed. [29:59] Gus explains the first product of moral courage is a set of behavioral tools to not be controlled by fear and emotional reactivity. The second is that you learn to be humble — “I need to improve in order to be of value to others.” The third is self-sacrificing, selfless leadership. Gus points out that many in our culture have poor values that cannot lead to happiness. He is grateful to his mentors, especially his wife. [34:17] Gus comments on what is the biggest, most common leadership stumbling block — it is the first required behavior of high character and moral courage, to unconditionally, positively, non-negotiably, honor all persons; to respect those we dislike, to listen truly, and be attentive to, and even love, the person who drives you nuts, and is most dangerous to your organization. [35:47] Gus says the all-purpose tool to improve all relationships is to have the moral courage to respect, care about, and listen to the other person, even as that person is attacking you. That’s the Achilles’ heel in how we to teach leadership. We don’t teach to UPR — unconditionally, positively, respect all persons, under all circumstances. It doesn’t mean endorsing; it doesn’t mean approving of bad behavior. Gus Lee delivers character-based, problem-solving, practiced-skills leadership intensives and strategic goal achievement training across 50 industries. He has written 5 best-sellers, including Courage: The Backbone of Leadership; been published in Time and Encyclopedia Britannica and has spoken on leadership on CNN, CBS This Morning and NPR’s Fresh Air. Gus was mentored by H. Norman Schwarzkopf and taught by Warren Bennis, the founder of modern leadership theory. Gus was West Point’s first Chair of Character Development. Raised by YMCA boxing coaches, Gus has been a business owner, COO, chief learning officer, high-tech VP; government senior executive, acting deputy attorney general, lead trainer of California’s prosecutors, deputy director, senior deputy district attorney, U.S. Senate ethics investigator, FBI and POST trainer, assistant dean, drill sergeant and officer, and YMCA boxer. A thought leader for Kaiser Permanente, Development Dimensions International, and U.S. Army, he was a trainer and executive coach for the Center for Creative Leadership and has consulted to Lockheed Martin, Hewlett Packard, the FBI and SEC on developing leaders of character and deploying true operating principles. and maintain in ourselves and our organizations that critical element that makes the difference – courage! 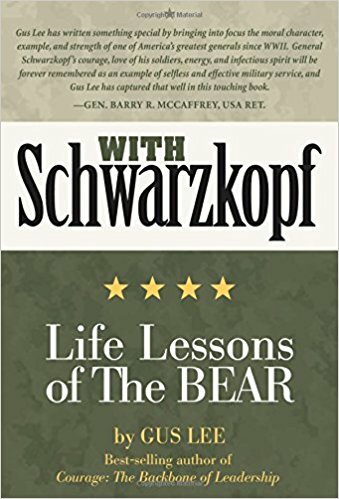 H. Norman Schwarzkopf, General, U.S. Army, Ret. Presidential Medal of Freedom, Congressional Gold recipient, Knight Commander, Order of the Bath. 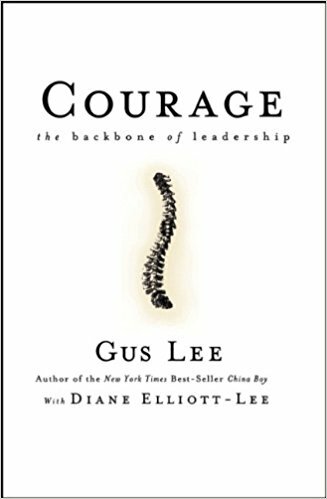 Gus Lee demystifies courage and reveals what it is made of: integrity, competence, and good judgment. Warren Bennis, founder of modern leadership theory, advisor to five U.S. presidents, dean of leadership. COL Doug Boone, Director, SCPME (Character Development Center), West Point. 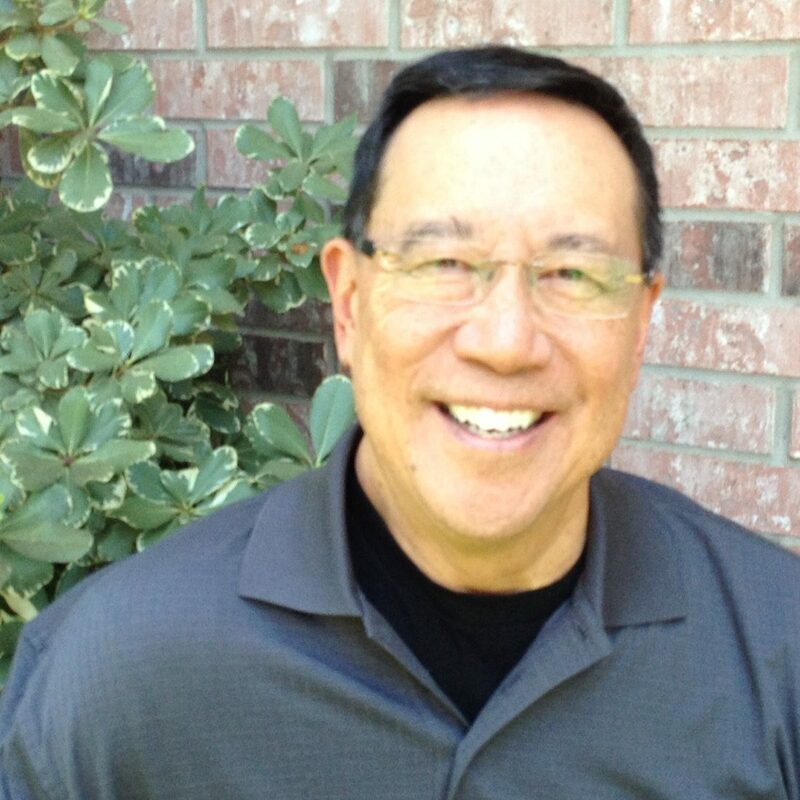 Great thanks to Gus Lee for essential wisdom for leaders of character on the battlefield, in the marketplace, in our communities, or for anyone who needs to, as he says, cross the river, to make a positive difference. Fred M. Franks, General, U.S. Army, Ret, coauthor with Tom Clancy; Commanding General, VII Corps, combat leader of the left hook single wing envelopment, Desert Storm. These are the books mentioned in Gus’ podcast.